Customer orientation, networking, high-level expertise and overall economic efficiency drive the operation of Innomikko Ltd.
– We only sell our customers what they really need, nothing more. – The projects always serve the customer. At every stage of the project, we think about the ways the customer can utilize the results. – The focus of our reports is on clarity, simplicity and consistency. The report has no value if the customer’s representatives cannot fully understand it. – In most cases, Mikko Malmivuo, the owner of the business, is responsible for the research projects of Innomikko Ltd.
– Depending on the scope and demands of the project and the customer’s needs, parts of the projects can be delivered by subcontracting. – The wide network of cooperation partners guarantees that every project will be executed by the best and most competent team. – The owner of the business has 20 years of experience on traffic research, which guarantees firm expert knowledge. – The overall economy of each project comprises labour costs, the executor’s competence and working efficiency. – A light cost structure allows Innomikko Ltd to offer projects at a very cost-effective price. Feel free to ask for an offer for your project! 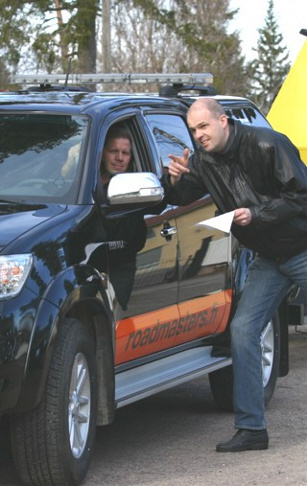 Roadconsulting Ltd Or West Coast Road Masters have often been responsible of the road measurements connected to Innomikko research projects.